Hotel Garden ... Clean basic accommodation; shared bathroom - which was no bother. Staff helpful. Buses into City centre outside door and easy walk along River Arno to Ponte Vecchio. Good restaurants close. 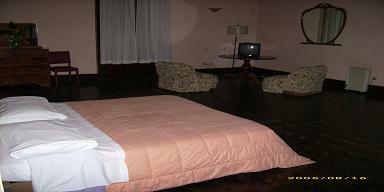 It has been recently rennovated and most of its rooms are equipped whith complete private facilities (showers, t. v. etc). Hotel Garden is situated in the heart of the town, only a few minutes from the railway station, from monuments famous all over the world and from high fashion shops. Guests will enjoy the confortable and close milieu. Rooms are equipped with every comfort. Breakfast including in the price!! Near the hotel(3minutes walking)you found the famous disco CENTRAL PARK!!! AND MEKANO DISCO!!! The owners are at your complete disposal for tour&museums bookings, tourist information or any other necessary information that can help make your stay in Florence more pleasant. For the train station go to RIGHT exit, make right to via Della Scala after first left to viaOrti Oricellari. After take rigt and go street ahead. After 3 street turn left and about 100mt you found Hotel GARDEN. When you arriving to via Orticelari here you can take the bus 26 or 27 only for 2 stops. After 2 stops go just acrross the street.